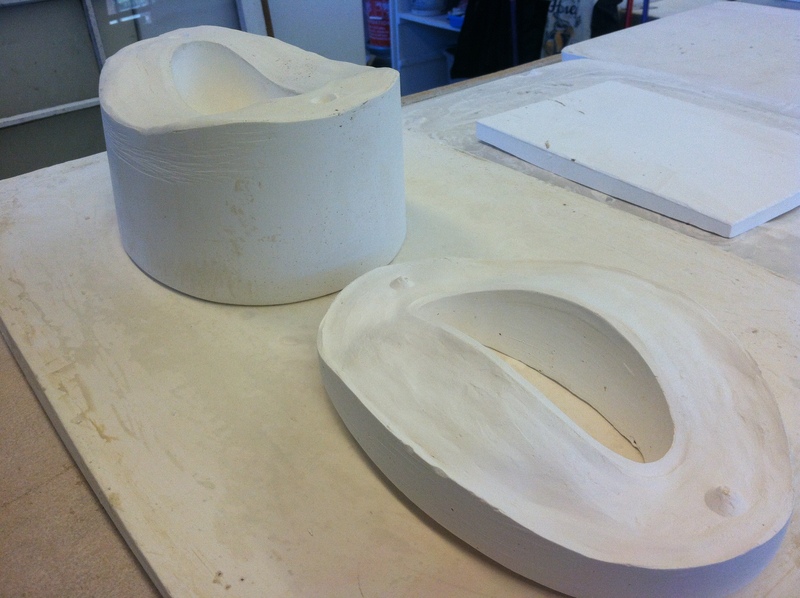 From Clay, to Prototype, to Mold! 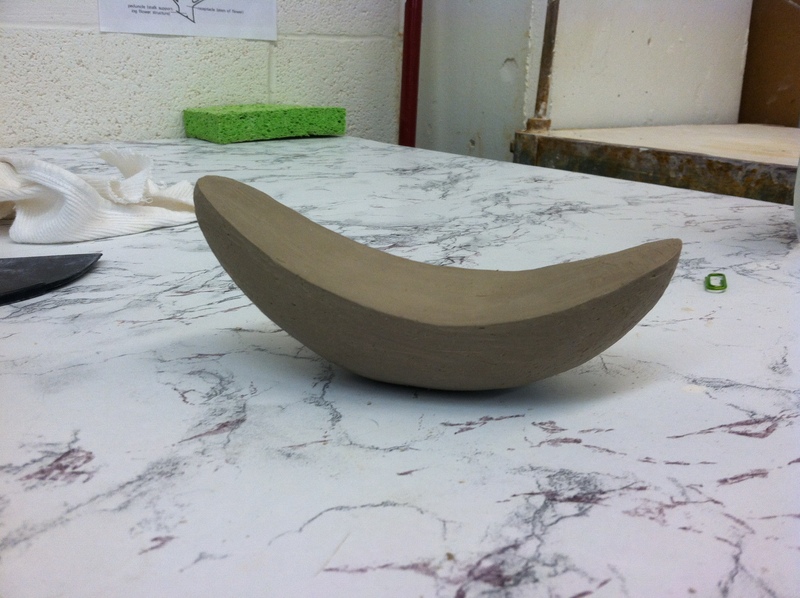 Form made solid in clay. 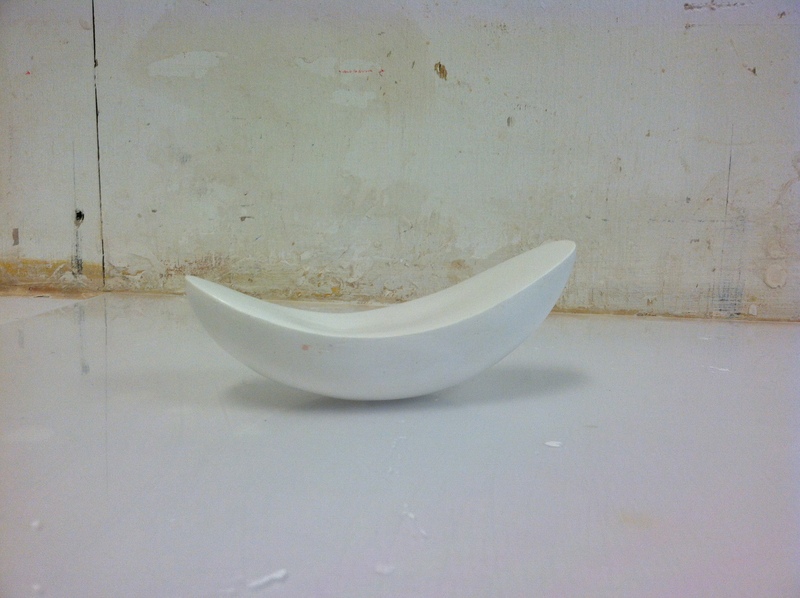 I made a waste mold and produced this plaster prototype which I was able to sand and buff and shine oh so nice! 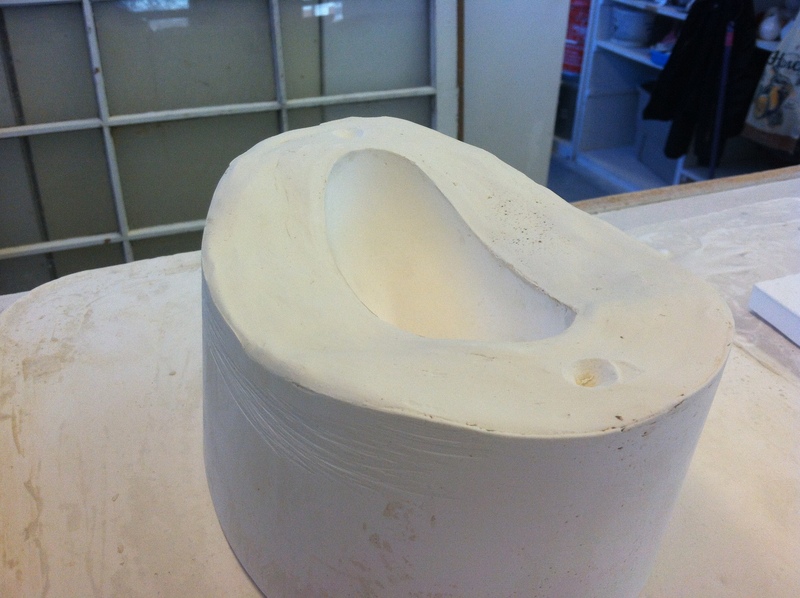 Next, embed prototype in clay to make the first part of the mold. Flashing to keep plaster in check! Part 2 of the mold. (Thank you Bri and Bryan for the helpful tips). 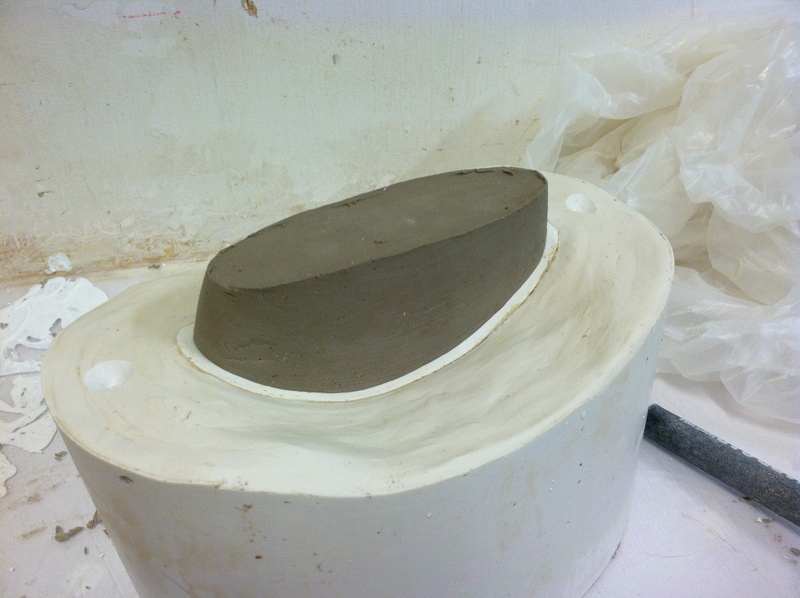 The solid clay in the center will give me a place to pour slip nice and even. 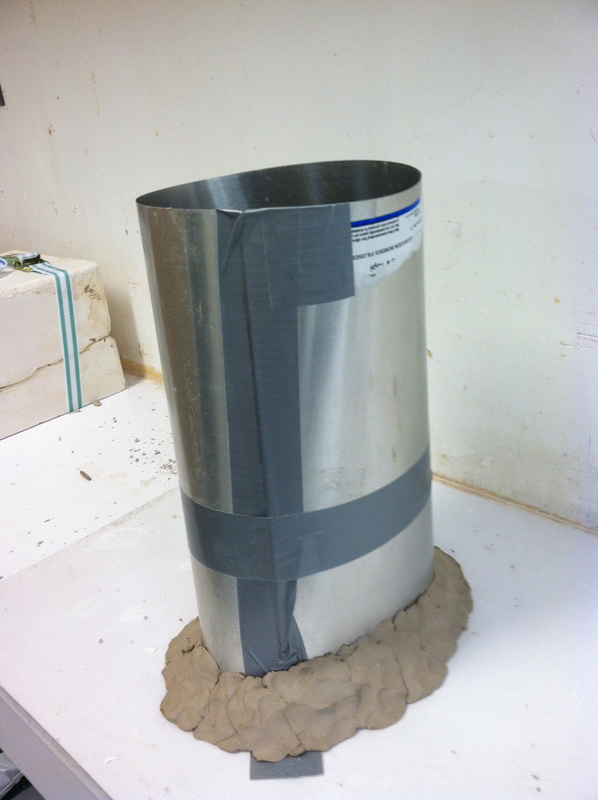 The portion of the prototype which is exposed will determine the thickness of the cast… hopefully it will be consistent with every pour! 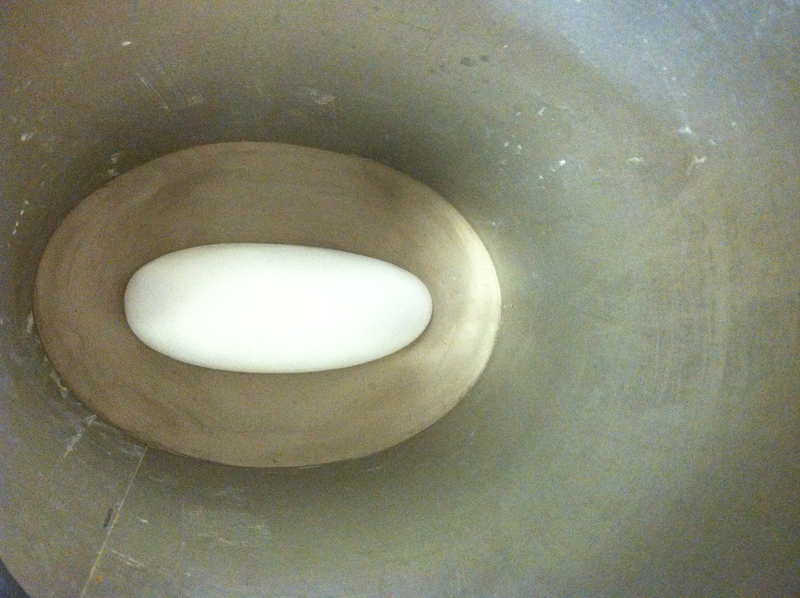 And… we have a mold! I begin casting tomorrow, whoohoo! I bought some oil clay to make the filament portion of the object, together they will be a complete stamen!